Black-throated magpie jays belong to the Corvidae family of birds. This group includes the crows, jays, and magpies, most known for their gregarious and intelligent nature. Black-throated magpie jays are no exception. Not much research has been done on black-throated magpie jays in the wild, but like other jays, they are intelligent and charismatic birds. 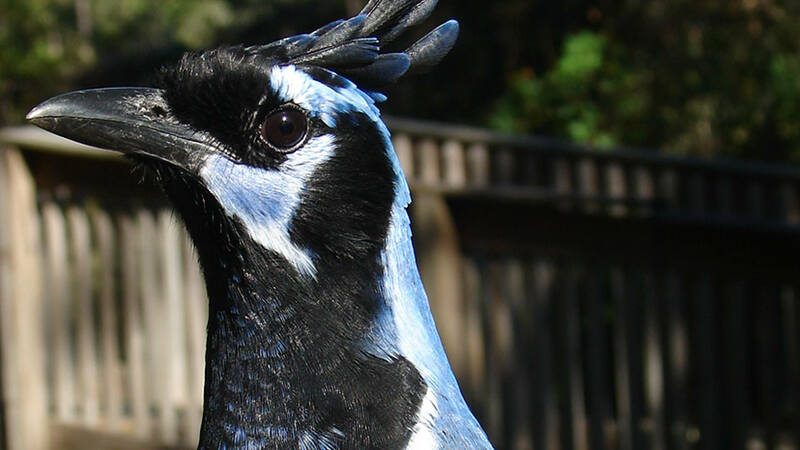 Also known as the Collie's magpie jay, the black-throated magpie jay is a is confined to northwest Mexico, although they are occasionally sighted in California and other locations along the west coast. 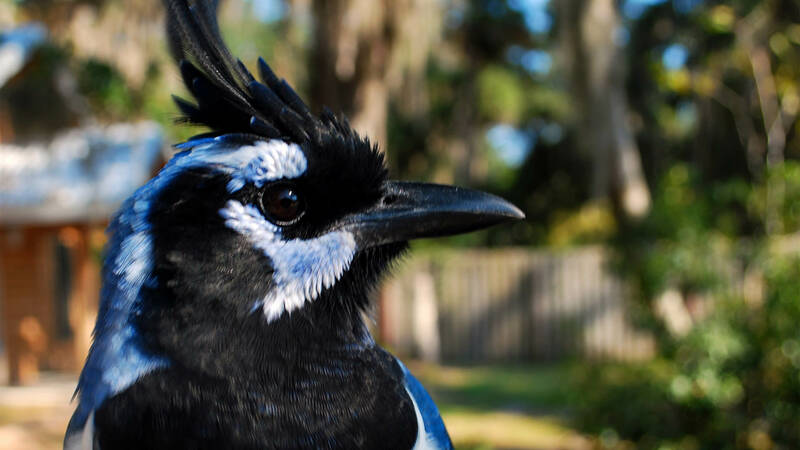 They are closely related to the white-throated magpie-jay, and the two sister-species have been known to hybridize. These birds are highly social and vocal omnivores, eating insects, seeds, nuts, and even the chicks of other birds species. 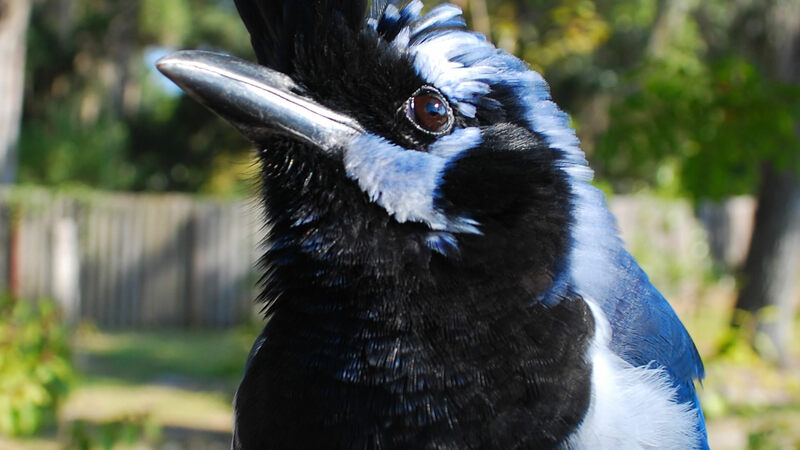 Black-throated magpie jays are monogamous birds, meaning they mate for life. The conservation status of these birds shows that they are of least concern and their populations are believed to be stable, but more research is necessary in order to evaluate any conservation efforts we could be taking for the benefit of this species' future. These birds are native to the Baja Peninsula of Mexico. One of their most striking features is their extremely long tail feathers. They use these feathers for balance, which is very important as they like to spend most of their time about 100 feet up in the tree tops! 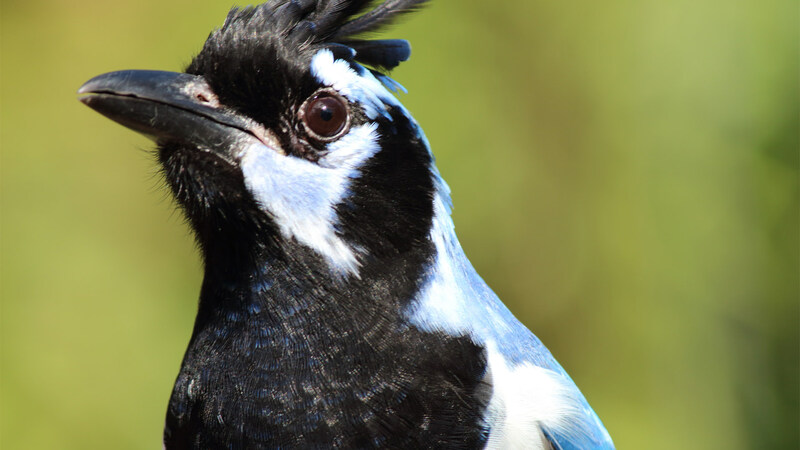 Black-throated magpie jays eat standing on one food and use their other foot to hold food up to their mouths! These birds are monogamous. The female lays 3-4 eggs and incubates them with the male's help.